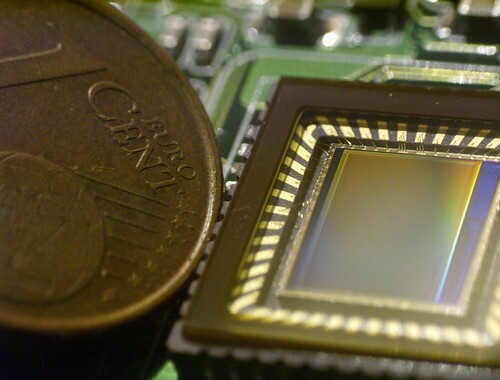 There is currently a Full Frame digital sensor being developed by Sony. Or more precisely, Sony currently works on a 24 mega-pixel technology in the Full Frame form factor (FX in the Nikon local language) and the two applications actually forecast are at Nikon for building the Nikon D800 and at Sony for the successor of the Alpha 850 and Alpha 900 (the name has certainly not been fixed right now). I’m told that there is also another brand talking to Sony right now about the opportunity to share this technology (another 24 MP in Full Frame clothes). For the time being, it seems that (faithful to the Nikon tradition- the Sony digital sensor will be modified according to the needs of the yellow brand. It’s true that Nikon is never perfectly satisfied with what Sony offers in terms of sensors (but that the sensor core does not change, justifying completely the “same sensor as…” mention often repeated in the past around this issue) but that Nikon does not totally share the intensity of the Sony commitment for video in this part (the high-end) of the camera range. Right now, Sony works to optimize the digital sensor sensitivity (given a Full Frame surface size, they try to bring the best image quality, the lowest digital noise and the highest ISO sensitivity). According to the data we got here, the cameras based upon this new digital sensor would be announced at the end of Summer 2011 with availability in the last quarter of 2011.